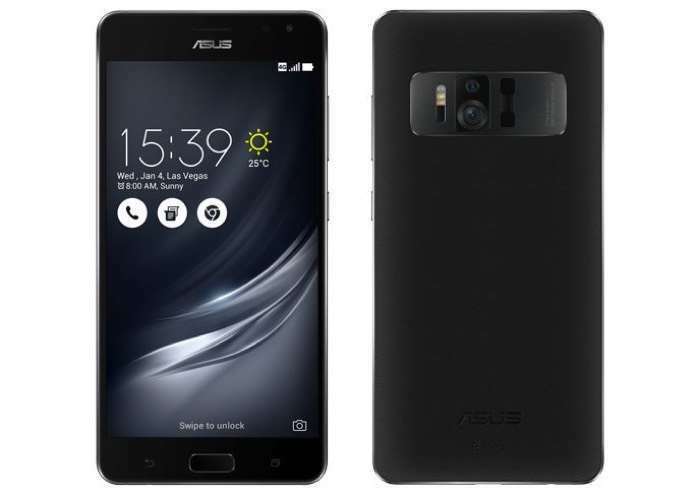 We saw a leaked photo of the new Asus ZenFone AR earlier this week, the device is now official and we have all the details on the new Asus Project Tango smartphone. The Asus ZenFone AR is Project Tango enabled and also Google Daydream ready,the device is powered by a Qualcomm Snapdragon 821 processor. The handset features a 5.7 inch display with a WQHD resolution and it comes with a massive 8GB of RAM and a 23 megapixel camera. ASUS ZenFone AR is a next-generation smartphone that represents a significant advance in mobile virtual-reality (VR) and augmented-reality (AR) technologies. It is the first smartphone that will be Tango enabled and Daydream-ready. Tango is a set of sensors and computer-vision software by Google that enables unique AR user experiences on a smartphone, such as AR gaming, AR utilities, and indoor navigation. Daydream is Google’s platform for high quality, mobile virtual reality and supports Daydream VR apps. ZenFone AR was developed in close cooperation with Google to deliver the best Tango and Daydream experiences. You can find out more information about the new Asus ZenFone AR over at Asus at the link below, the device will launch later this year.